Baptiste Debombourg has currently two exhibitions on view in Bergen and Cologne. 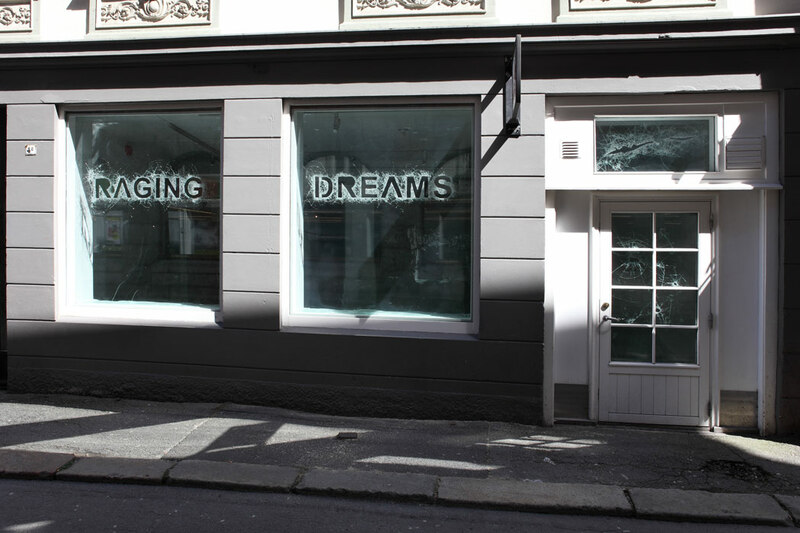 After the contextual installation “Raging Dreams”, realized at S12 gallery in Bergen (Norway), Baptiste Debombourg presents his new solo show « TRANSIENT » at krupic kersting gallery in Cologne (Germany). 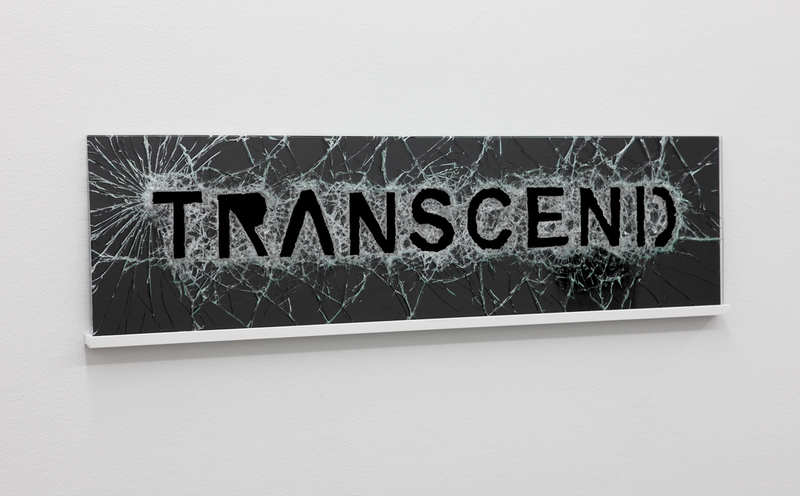 « Transient » explores the transformative aspects of the material, and the ever-changing state of matter, that goes beyond our human perception. Everything that we perceive is subject to the effect of time and gravity, a slow transformation of material in time. It is this invisible force that interests the artist, and through control, but also accident and improvisation, he explores his subject. Debombourg offers to the viewer an experience of the transformation, of the transient state of matter, and a new vision of light and darkness. S12 Open Access Studio and Gallery is celebrating its 10th anniversary with the opening of the exhibition RAGING DREAMS over the horizonby the French artist Baptiste Debombourg. Debombourg has received international acclaim for his monumental installations. 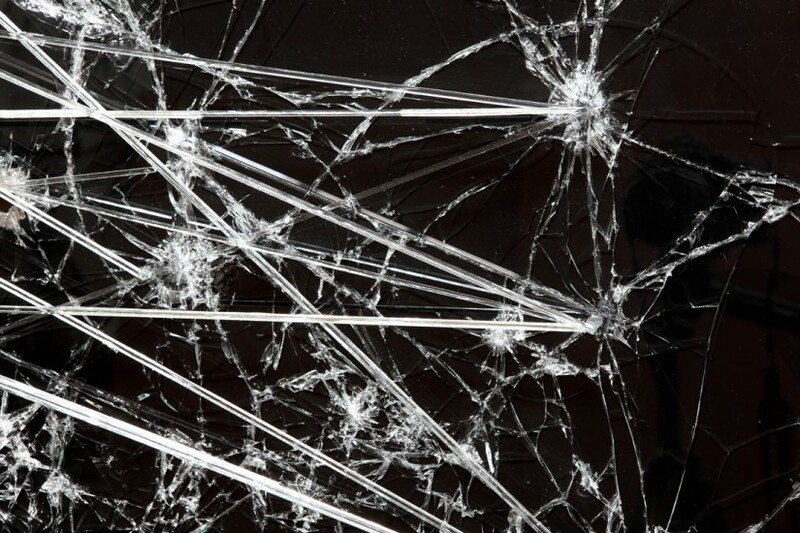 Waves of broken glass are breaking into and flooding rooms and structures, taking over and transforming buildings and areas. The work can be experienced as both threatening and beautiful as the artist both destroys and rebuilds. 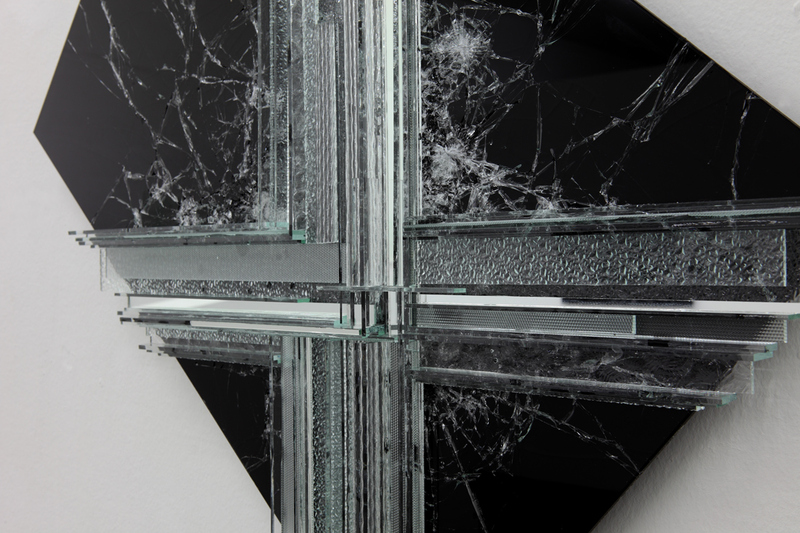 The broken and reconstructed material conveys many stories and is often interpreted as a critique of the world we live in – of consumerism or a world in the process of falling apart. In S12’s Gallery Baptiste Debombourg has made a new installation–Raging Dreams where the energy and power of dreams is a central theme, and where the main material is laminated glass. Debombourg does work with a variety of materials and techniques, but prefers to use materials we are surrounded with in our daily life. In this installation, the remodeled sheets of broken laminated glass, remind us of the destructive abilities of natural forces, as they take over the the gallery, parallel with the silhouette horizon in the background. Through his unique and eye catching artwork he makes the viewer experience his/hers surroundings in a new and unexpected way. For more information on Baptiste Debombourg please click here. Baptiste Debombourg’s solo exhibition “RAGING DREAMS over the horizon” opens on May 19th at S12 Open Access Studio and Gallery, Bergen. 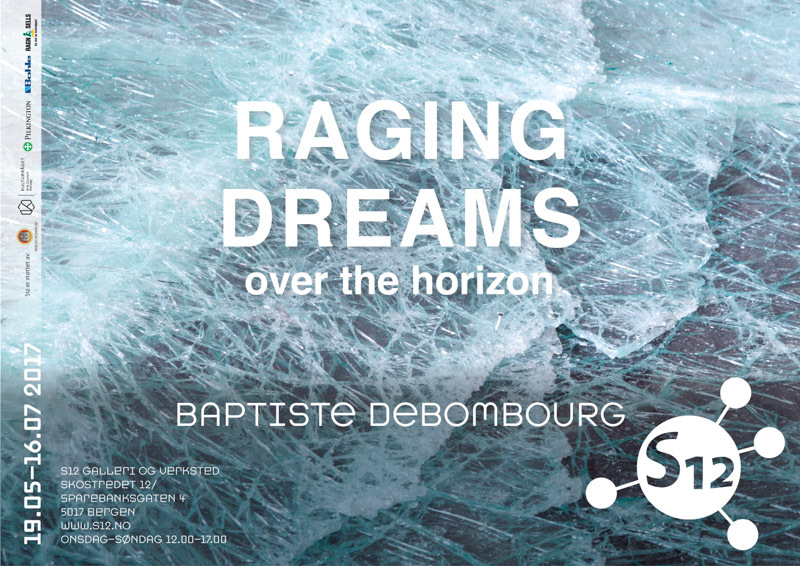 Vernissage 19.05.17 at 7 p.m.
S12 Open Access Studio and Gallery is celebrating its 10th anniversary with the opening of the exhibition RAGING DREAMS over the horizon by the French artist Baptiste Debombourg. In S12’s Gallery Baptiste Debombourg has made a new installation– Raging Dreams where the energy and power of dreams is a central theme, and where the main material is laminated glass. Debombourg does work with a variety of materials and techniques, but prefers to use materials we are surrounded with in our daily life. In this installation, the remodeled sheets of broken laminated glass, remind us of the destructive abilities of natural forces, as they take over the the gallery, parallel with the silhouette horizon in the background. Through his unique and eye catching artwork he makes the viewer experience his/hers surroundings in a new and unexpected way. with numerous public presentations at home and abroad to his merit. He has built installations in cities such as Paris, Strasbourgh, Miami, Québec and Sarajevo, and will in May ´17 present a new public installation in Le Havre on the occasion of the city’s 500th anniversary. To download an interview on the project with Bergljót Jónsdóttir, Director of S12, Bergen, please follow this link: NG 2 2017, S12 Baptiste Debombourg, S, 28 – 31.